Christmas is so very close and I have just begun to decorate a bit. 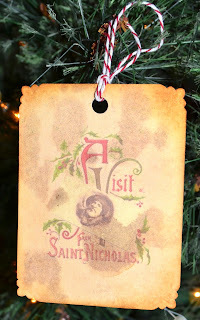 I was so happy to find these easy handmade ornaments on Nicecrane designs. They are pyramid style and just cut and stack. 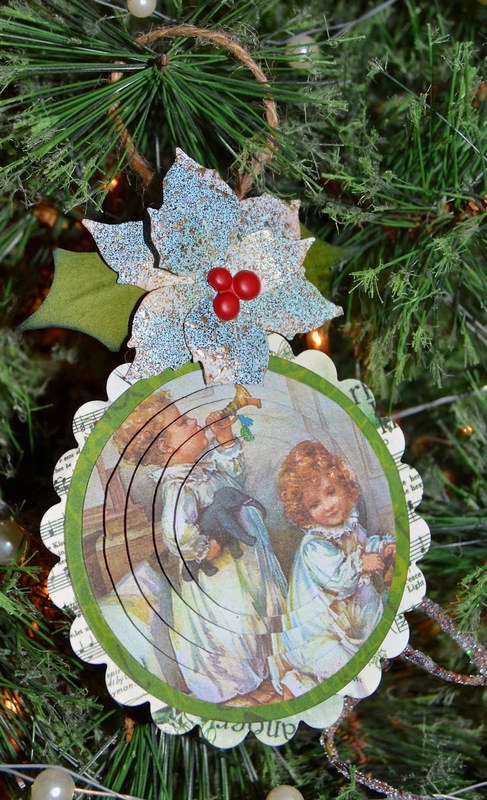 The vintage style photo are perfect with my theme on this tiny tree this year. See how cool they look and it was easy! After I made this one I cut out a frame from Spellbinders and attached some twine and hung it up, maybe 20 minutes of time. I love the way it turns. The next two are round. 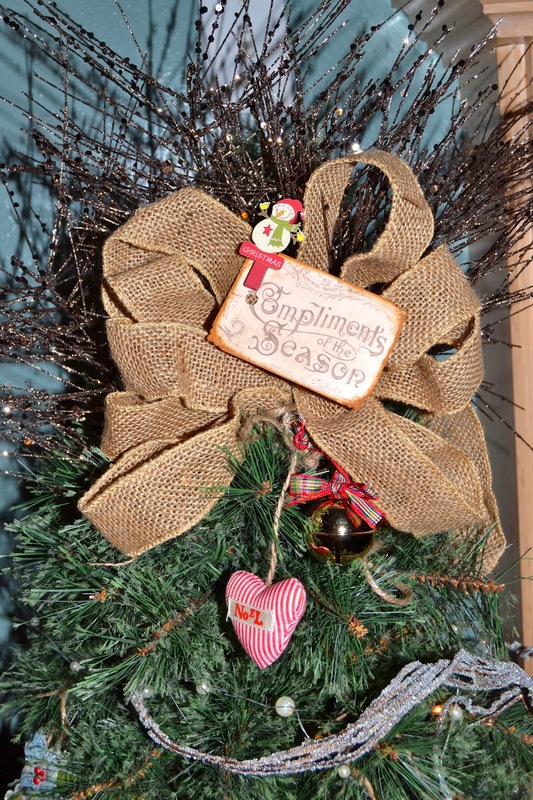 This one I attached a Frantaged poinsettia onto the twine for more festive appearance. I see in this photo where my cutting skills are not perfect but see it still looks fabulous! I was making my Nicecrane Designs ornaments while I was also making Poppyseed coffee cake. This is a old family recipe and my first try at it, not bad but the dough needs improvement. I had a chance to use a gift from my friend May in the UK. This apron has the streets of London on it. I really wanted a apron and here it came! Here is my small tree from my bedroom that I decorated with Mays gifts and the Nicecrane Designs ornaments I made. Here is my burlap ribbon with sparkly sticks behind it. May wrapped my package with the heart and bell so I used it here. Some of my other friends have sent me awesome things too, I can hardly wait to use them too! Thank you May, Ignacio, Sasha, Karen, Sandy, and Christina for your gifts and friendship!! Wonderful designs, I love the idea. Great pictures it is nice to have helpers. 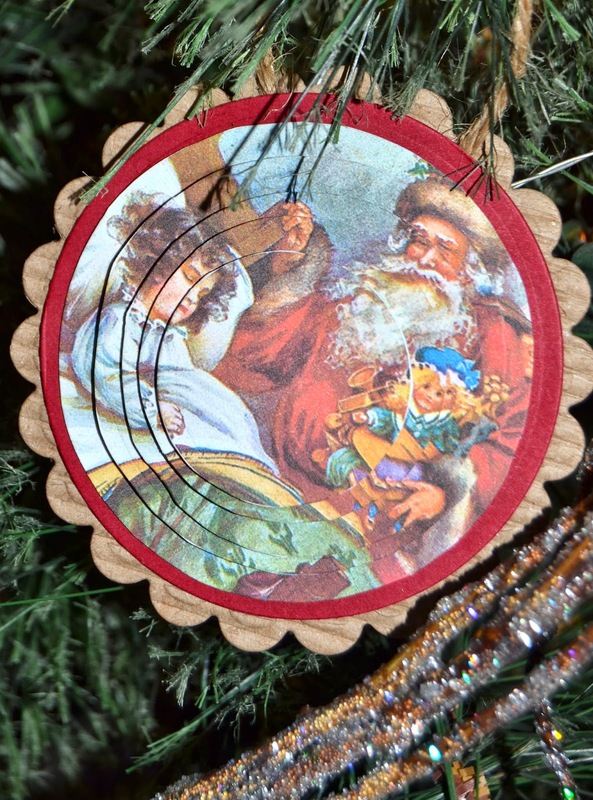 Such charming little ornaments! 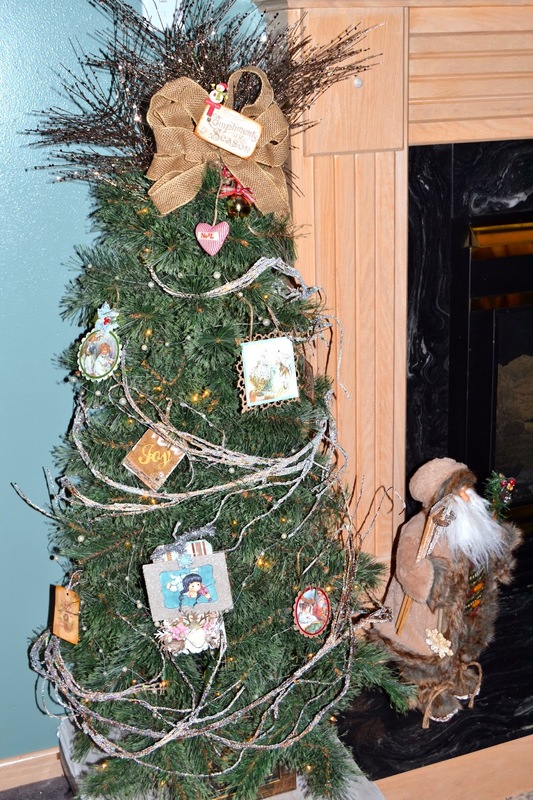 Love the burlap bow on the tree! These are all gorgeous Kelly. Love the stacked images and even more fab that they don't take long. Your poppy seed cake looks lovely though I have no idea what it would taste like as I have never tried it. 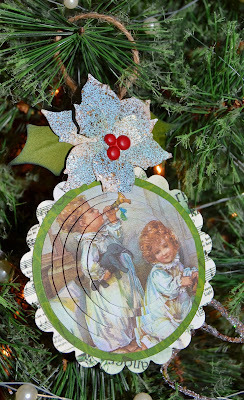 I love those stacked images, Kelly, and they work so beautifully on your tiny tree. I love the sound of the poppy seed coffee cake - German Mohnstreuselkuchen is one of my favourite things in the world - looks very like what you've made there, only no coffee as far as I know. Looks like you're almost ready for the festive season... hope you and your family have a wonderful time! I just love those stackable pieces forming such a beautiful image. Great apron and that home baking looks yummy. OHHH yeah!! I love sneak peeks into people's lives and yours is just like one of those perfect scenes inside a snowglobe!! :) You look ADORABLE in that apron and your tree is delightful, your ornaments are sensational and this recipe that you speak of sounds scrumptious!! 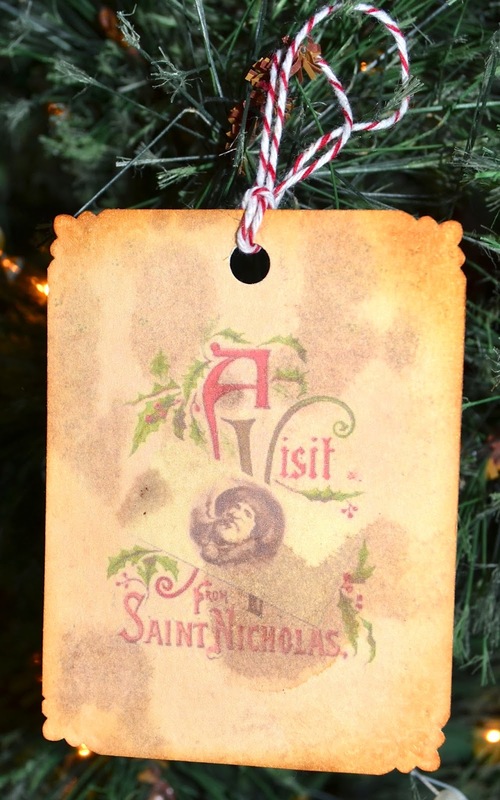 Thanks so much for sharing a little bit of your holidays with us. 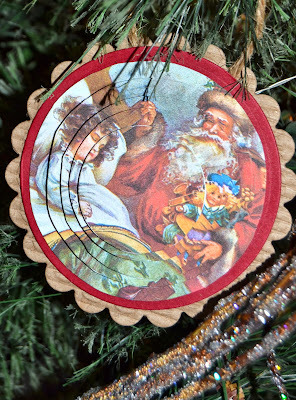 I never saw these ornaments before and they are totally awesome! 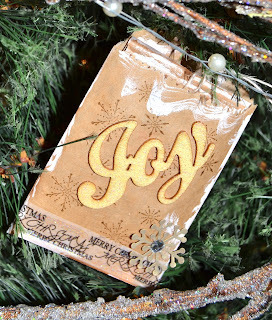 Love your decorated tree and you look great in that apron too! Looks like you should be working on a cook book! Nice looking sons too. How nice they are helping Mom out!